The UFC will land in Boise, Idaho for the first time this weekend with a heavyweight showdown headlining the card, as former champion Junior Dos Santos returns to action against newcomer Blagoy Ivanov. Ivanov may not be as well known as some of the other heavyweights in the division, but he's coming to the UFC off five straight wins, including three by way of knockout or submission. He'll jump directly into the deep end of the heavyweight pool when he faces Dos Santos on Saturday night. Also on the card, highly-touted prospect Sage Northcutt returns to the welterweight division, where he faces Zak Ottow, while Dennis Bermudez takes on always tough featherweight competitor Rick Glenn on the main card. In today's fantasy preview, we'll break down these fights and several more to see who has the edge and who might be primed for an upset at UFC Fight Night: Dos Santos vs. Ivanov. 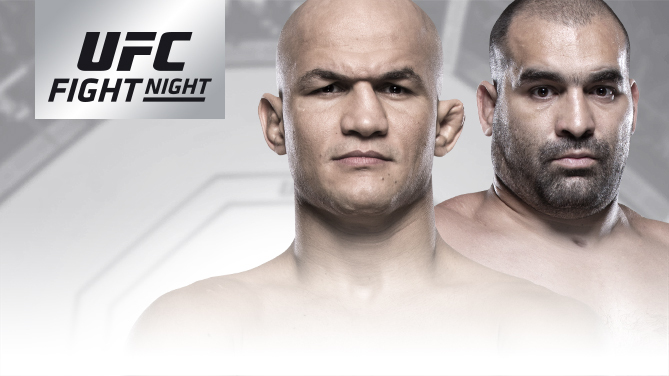 In a battle of two heavyweight finishers, Junior Dos Santos will look to bounce back from a loss in his last fight to former champion Stipe Miocic while Blagoy Ivanov will look to make a big first impression as he officially arrives in the UFC. First things first in getting to know Ivanov - he's a shorter heavyweight, standing just 5-foot-11-inches tall with a background in combat sambo, boxing, judo and kickboxing. He comes to the UFC with a 16-1 with one no contest record, with his only defeat coming to current top five-ranked heavyweight contender Alexander Volkov back in 2014. Since that setback, Ivanov has reeled off five straight wins, including victories over UFC veterans such as Shawn Jordan and Josh Copeland. Ivanov is a heavy-handed fighter who also possesses a very powerful ground game with a number of submissions on his resume. Ivanov also has past championship experience, which means he's prepared for five-round fights before, so that's a huge benefit going into the main event in Boise. Of course, Ivanov still has to battle against those notorious Octagon jitters, which have affected numerous veterans in the past when they first debuted in the UFC. So the real key for Ivanov in this matchup is getting his footing early and then start pushing the pace in the second round and beyond. As for Dos Santos, his resume is well known, as he's a former champion with arguably some of the best boxing the heavyweight division has ever seen. Dos Santos packs a serious punch but he's also technical enough that he can out duel an opponent over five rounds if that's what it takes to get done. Dos Santos has been fighting at the highest levels of the sport for years and he's taken on the best of the best that the heavyweight division has been able to offer him. That experience, combined with more than a year spent out of the cage, which likely allowed Dos Santos to heal in both mind and body should give him the edge in this matchup. Dos Santos hits like a truck but he's also more than capable of outpointing an opponent if that's what the game plan calls for him to do. Dos Santos just needs to make sure he sets a good pace and then finds the right openings to punish Ivanov whenever he stumbles. Ivanov is a great addition to the UFC's heavyweight division but he's taking a massive step up in competition by facing someone like Dos Santos on his first day in the promotion. That's why the pick has to stay with Dos Santos, who has proven himself to be one of the best heavyweights in the world multiple times over. Dennis Bermudez will attempt to stop the bleeding on a three fight-losing streak when he takes on the always-tough Rick Glenn in a featherweight showdown on Saturday night. Bermudez has been on the wrong end of back-to-back split decisions so he will undoubtedly do his best to ensure he gets the win this time by either finishing Glenn or trying to make it a lopsided decision where there's no chance he walks away with a fourth straight defeat. 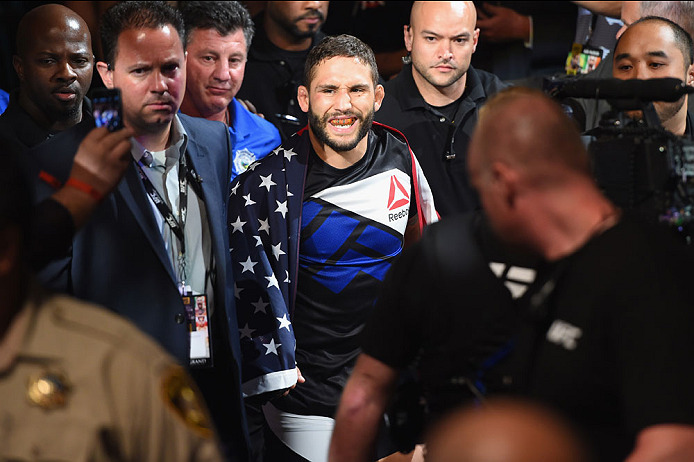 Bermudez loves to push the pace and rarely slows down over three rounds, but he's shown some defensive errors that have come back to haunt him in recent performances. Going up against somebody like Glenn, who just has the durability to go three hard rounds no matter how things are going for him, will force Bermudez to show patience over the course of three rounds. Glenn has gone 2-1 in the featherweight division in the UFC while showcasing real heart and determination in all of his fights. Glenn is a long, lanky fighter who will enjoy a four-inch reach advantage over Bermudez, so he should definitely use that when setting up his punches. Bermudez is best known for getting inside to do damage and it Glenn can keep him on the end of his punches, that makes it a whole lot harder to work for the clinch or the takedown. Still, Bermudez always seems to find a way to force the fight to play out his way by bullying his way inside to look for the takedown. In fact, Bermudez averages just under four takedowns per 15 minutes in the cage, so there's little doubt that at some point he's going to put Glenn on the mat. Bermudez gets a little wild at times and that has cost him in recent fights, but knowing what's at stake on Saturday should keep the former Ultimate Fighter finalist in check to go for the win by any means necessary. Bermudez may not get the finish but he remains the odds on favorite to get the win. In a potential show stealer on the main card, Randy Brown will face off with Niko Price in a welterweight matchup between two very talented up and comers. Brown, who was discovered during Dana White's “Lookin' For a Fight” series, is coming off arguably one of the strongest performances of his career as he took out Mickey Gall last November. Brown has bounced back and forth between wins and losses his past three fights but he still seems like a very interesting prospect to watch for in the future. Brown is definitely a striker first so he'll absolutely want to keep this fight standing for his best opportunity to win. Brown isn't the most devastating kickboxer, but he can definitely put some pop behind his punches and kicks. Dealing with that long striking game will be the major factor in whether or not Price can make an adjustment to negate that advantage for Brown. Price is probably a little more skilled in the overall mixed martial arts skill set considering his long list of submissions to go along with several impressive knockouts. Price has only suffered one setback in the UFC and that came to Vicente Luque, who might be one of the most underrated fighters in the welterweight division. Price has earned submissions over the likes of Brandon Thatch while also earning a knockout over a very good striker in Alan Jouban. It's for those reasons why Price remains the slight favorite to pull off the victory in this matchup because he has more ways to win the fight. Price will probably try to avoid a straight up kickboxing battle with Brown, but his ability to mix in takedowns and submissions will give him the advantage in the scrambles. Knowing that Price has that submission arsenal at his disposal might also make Brown a little more wary to throw kicks to avoid the takedown, and that automatically negates one of his better weapons. Price just has to make sure he's not sloppy when shooting for those takedowns or Brown will put him to sleep. Still, over the course of three rounds, it's likely Price will catch Brown slipping at some point and that's when he'll go for the finish. Another great fight taking place on the main card will see former title challenger Cat Zingano face off with surging top 10-ranked women's bantamweight Marion Reneau. Reneau has looked better than ever lately, with wins in three of her past four fights with one draw in a matchup many believe she won. Reneau pulled off a submission victory against former Olympic silver medalist Sara McMann and also earned a TKO against Talita Bernardo last year. 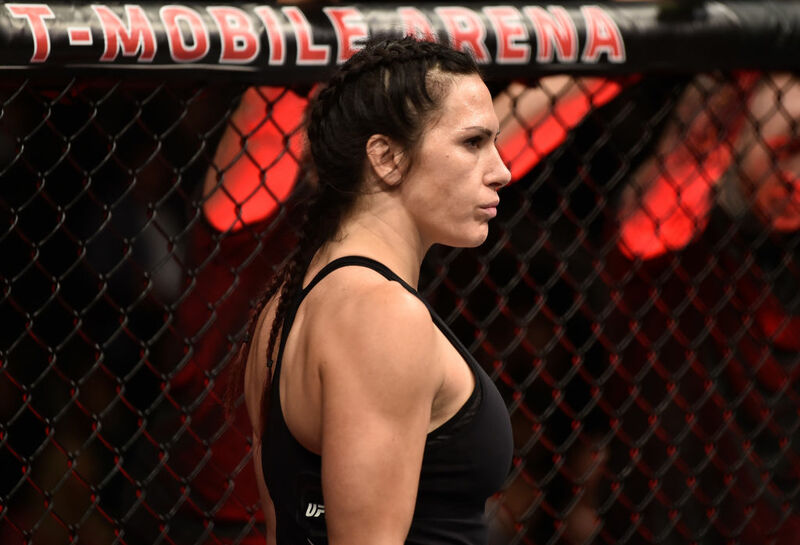 Even at 41, Reneau just seems to be getting better and better with each fight, but she will definitely face a tough test this weekend. Zingano has long been considered an elite women's bantamweight contender, with a well-rounded skill set that includes a slick submission arsenal and the kind of heart that just can't be taught in the gym. Zingano has definitely suffered through some tough losses recently, with three defeats in a row, including her lopsided decision defeat to Ketlen Vieira earlier this year. Perhaps the biggest problem that Zingano has faced is staying healthy and staying active. Zingano has only fought three times since 2015, so that inactivity has definitely hurt her ability to stay consistent with her performances. Hopefully coming back for this fight just four months after her last contest will help Zingano start to gain back some consistency with her performances. When she's at her best, Zingano is a gritty competitor with knockout power in her hands and a ground game that can give anybody in the division problems. Zingano just needs to showcase those skills by letting her hands go against Reneau and then working tirelessly for submissions if the fight hits the mat. If that Zingano shows up — the one that holds wins over Amanda Nunes and Miesha Tate — she'll get the win and remind the world why she's long been considered one of the best female fighters in the world. Three-time title challenger Chad Mendes will make his long awaited return to the Octagon on Saturday night when he faces Myles Jury in a very intriguing featherweight matchup. Because Mendes has been gone for so long, it's easy to forget what he brought to the division when he was at his best. Mendes is a punishing power striker with dynamite in both hands and arguably the best wrestling the featherweight division has seen. Mendes mixes things up very well with his striking and grappling, so don't be shocked to see him put both on display when he steps back into that Octagon this weekend. Of course, Mendes will also have to battle against the dreaded ring rust after such a long layoff, but he has a room full of killers to get him ready while training at Team Alpha Male in Sacramento. Mendes just has to step into the Octagon with confidence and not let an adrenaline dump ruin his return. Jury is definitely a tough matchup for anybody in the division, much less a fighter coming back after two years away. Jury is slick on the ground and he'll hold a whopping seven-inch reach advantage over Mendes. Jury is no pushover, but he has struggled when facing elite fighters at both lightweight and featherweight. Plus, Mendes has the benefit of training with Rick Glenn, who just faced Jury late last year. As long as Mendes can return to the form that kept him as one of the five best featherweights on the planet before his exit two years ago, he should remind the division that he's back with this performance. It won't be an easy fight, but Mendes still remains the prohibitive favorite as one of the best 145-pounders in the world. Following an undefeated streak through his past six fights, Alejandro Perez will take on veteran bantamweight contender Eddie Wineland in the featured prelim bout. Perez, who earned his spot in the UFC from The Ultimate Fighter Latin America, has looked better than ever lately. In his most recent performance, Perez dispatched highly touted bantamweight prospect Matthew Lopez by second-round TKO — his third knockout in the UFC. With each passing win, Perez also gains confidence, and that could be a huge weapon for him against Wineland this weekend. Wineland has consistently been one of the best bantamweight fighters in the world as a former WEC champion before then battling for the title in the UFC. Wineland surged back in the rankings following a pair of knockout wins in 2016 before suffering a decision loss in his last fight to John Dodson. At his best, Wineland is a fierce striker with devastating power in his hands and the ability to mix things up very well when he's standing on his feet. Wineland will also throw in some creative striking techniques, from spinning back kicks to spinning back fists. That unpredictability always makes Wineland a tough customer. Still, Perez really does seem like a fighter on the rise and someone to watch for the rest of 2018. Perez blends together his complete MMA skill set to showcase good technical kickboxing along with an underrated ground game. His ability to keep Wineland guessing on the feet will then lead to potential takedown opportunities where Perez can continue applying pressure on the mat. If Perez can do that, he'll walk out of Idaho with another win on his record. Sage Northcutt returns to the welterweight division this weekend in an attempt to get his first UFC win in the division after falling short on two previous occasions. 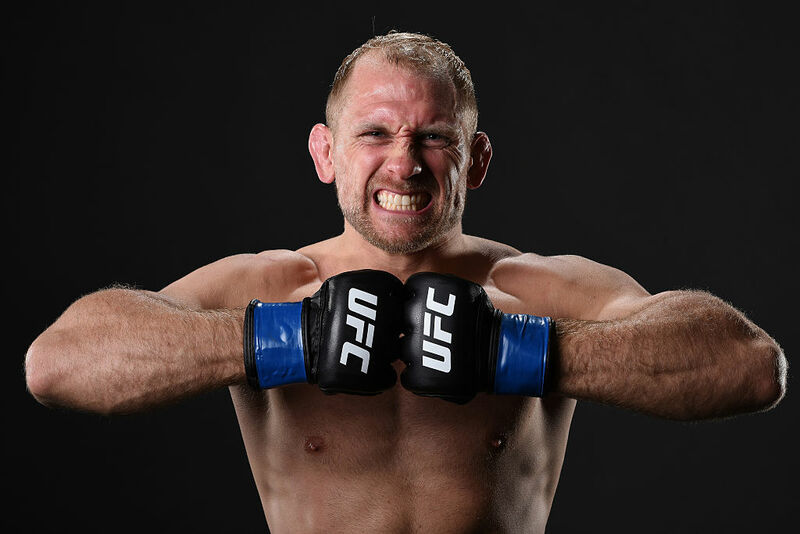 Awaiting Northcutt on Saturday night will be Zak Ottow, who is coming off a stunning TKO win over veteran Mike Pyle in his most recent appearance. Northcutt has continued to be one of the most talked about up and comers on the UFC roster, but his performances haven't exactly been stellar lately. After suffering a loss to Mickey Gall in his last trip to welterweight, Northcutt returned to 155 pounds, where he scored two unanimous decision victories in a row. Obviously it was a big weight cut for Northcutt to get down to lightweight so he's decided to make his return to 170 pounds. Unfortunately, Northcutt may not find much more success because Ottow is a very tough customer with solid wrestling, powerful hands and a frame that should give him some power advantages as well. On paper, based on physical attributes, Northcutt and Ottow are very similar. Ottow holds a very slight reach advantage, but otherwise everything else is the same. But those numbers don't explain that Ottow is a natural welterweight while Northcutt has struggled in the past against the two fighters he's faced in the UFC at 170 pounds. Ottow is a powerhouse with real pop behind his punches and a solid grappling game as well. Assuming Ottow can deal with Northcutt's speed, which is the one area where the 22-year old prospect will likely have a big advantage in this fight, he should be able to muscle the former lightweight around the Octagon and hurt him with those power shots to the head and body. Ottow just needs to watch out to not get caught going after Northcutt recklessly or he could pay for it. As long as Ottow stays composed and doesn't become a defensive liability, he's got a great shot to pull off this upset and pick up his second win in a row.